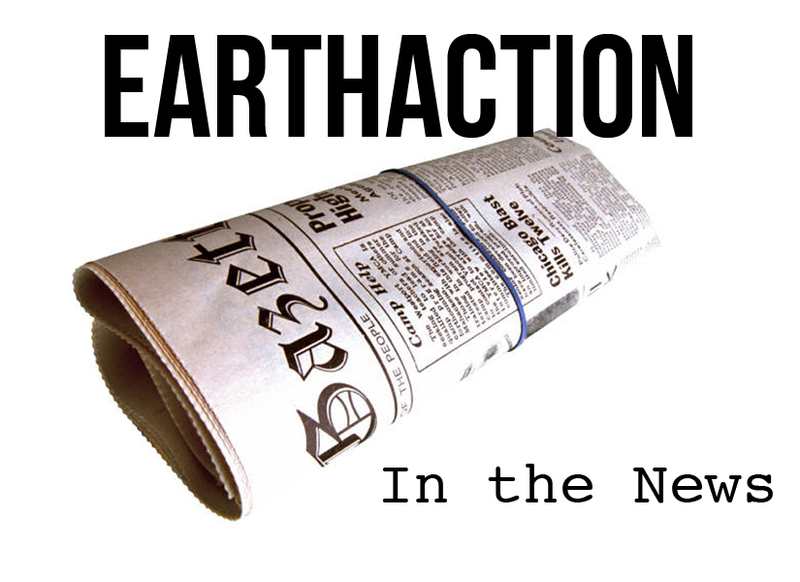 Sequestration, gridlock and international relations seem to dominate the public discourse, but the seemingly esoteric issue of hydraulic fracturing – fracking – has nevertheless established its place on the political stage. 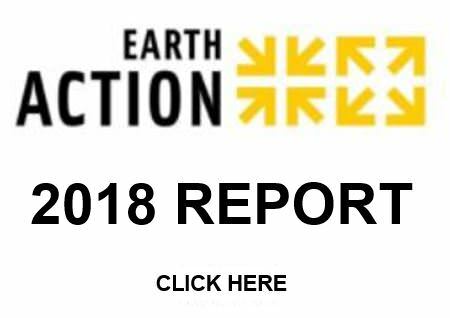 Just last month, our own California announced new policy proposals to regulate fracking; yet despite bucking the pro-industry trend, the state has failed to please concerned environmentalists. An executive for TransCanada, the company pursuing the construction of the Keystone XL pipeline, recently stated that shutting down oil sands production “would have absolutely no measureable impact on climate change”. By stating the percentage Canada as a whole contributes to global greenhouse gas emissions, and what percentage of Canada’s total are created by oil sands, Alex Pourbaix claims the oil sands contribute one-tenth of 1% of global greenhouse gas emissions. Pourbaix claims there is no measureable impact of the oil sands then immediately proceeds to measure the impact. While he cites a small number, what Pourbaix misses is that there is a number. We are reaching the stage where any number of greenhouse gas emissions is too high of a number. The claim that production from the oil sands will not have a great effect on climate change fails to recognize the big picture. There are many negative impacts from the oil sands other than just increased greenhouse gas emissions. There is the waste of fresh water during the extraction process, the potential for water supply pollution in surrounding areas, or the negative aesthetic impact of production. However, the largest impact the oil sands and associated projects, such as the Keystone XL pipeline, have is the continuing to say, “yes” to fossil fuel production. Allowing one project, such as Keystone XL, can have the potential to open the floodgates for many more similar pursuits. In order to combat climate change, we must move in a new direction of cleaner, more sustainable energy, not towards an expansion of current practices. What can you do? Add your name to a petition to stop the Keystone XL Pipeline and to let TransCanada executives, as well as the U.S. government know that there are more concerns surrounding these projects than simply greenhouse gas emissions. Or, continue putting direct pressure on President Obama to reject construction of the pipeline by contacting the White House. With the heavy burdens of climate change, environmental degradation and rising populations competing for resources, many countries are looking to sustainable development initiatives. Sustainability serves to meet the needs of both developing and developed populations while limiting their harmful impact on the environment so that future generations may live comfortably and prosper. Further, sustainability seeks to reuse precious resources in such a way that their access or function shift from a limited supply to an alternating, enduring resource. With a population of over 1.3 billion, China would do well in the 21st century to develop programs that sustain the environment and its people for generations to come, and potentially bolster their image on a global scale. China could have the world’s largest economy by the year 2030, and their position as an economic leader ensures that the world will follow the trends they set. There is a great responsibility to lead and usher in a more sustainable future, not only for China’s rise as a global political power, but as its industrial sector begins to take off and flourish. According to a recent report, since 2001, China has answered the worldwide call to develop responsibly across a broad spectrum of areas including: economic restructuring, health and lifestyle improvements, resource conservation and environmental protection. But there are still many challenges ahead. A developing industrial sector has forced China to become an extreme polluter as many companies are forced to choose cheaper (and dirtier) methods for production. The Global Markets Project, a conglomeration of the International Institute for Sustainable Development and the Chinese Ministry of Commerce, has spearheaded China’s effort to make major shifts in economic, political, social, and global development to ensure a forward-thinking agenda is omnipresent in all of China’s decisions regarding production, consumption, trade and infrastructure. They produced studies in 2008 outlining many of the issues facing sustainable development which must be overcome in the following years. China’s poverty rate declined from 10.2 percent in 2000 to 2.8 percent in 2010. Energy consumption declined 26 percent from 2005 to 2010. China is developing global forest product chains that imports and exports raw materials that try to comply with patterns of sustainability. GDP only ranked 100th in the world and there are still over one hundred million living in poverty. There is uneven sustainable development across regions. China has weak scientific and technological capacities. China’s global forest product chain development is impeded by trade policies, poor governance and incompetent business practices. Global cotton and textile product chains must be stronger. The cotton industry needs to shift to areas that favor sustainable production. 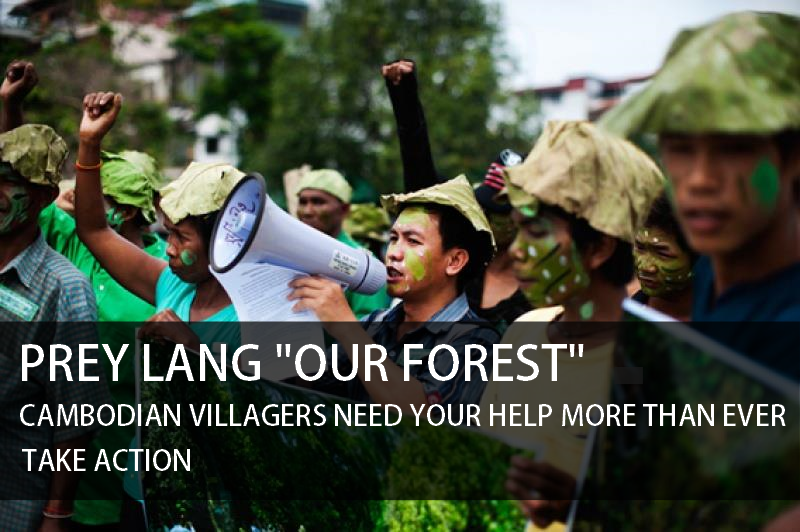 Further problems in sustainability involve carbon storage, biodiversity, water regulation and cultural heritage. China must match forest product commodity chain sustainability through better management, marketing and by matching foreign productions standards. China must strive to increase technology funding and implementation. Create systems in which coal consumption decreases by as much as 670 million tons in three years, by 2015. Reduce reliance on energy intensity by 21 percent in 2015. Overhaul their global cotton and textile production industry by relocating the industry to more sustainable areas; exporting production; improving the demand for sustainable products; improve production standards; and initiate green trade policies and sustainable initiatives that are mandated and governed responsibly. China’s electronics and electronic equipment manufacturing sector needs to be improved through regulatory standards and management during e-product manufacturing, during e-waste collection, dismantling and disposal, and require improved resource management, energy use and green initiatives in production standards. By outlining a sustainable and energy efficient strategy, China could reduce its dependence on industrial antiquities and be successful. Imagine a China that is less reliant on fossil fuels and factories that produce harmful waste. This would benefit not only China and its people, but the world. This article comes to you from NerdWallet.com, an unbiased source for quantitative analysis. Agenda 21: A Viable Proposal, or a Conspiracy? Across the country, members of the political movement referred to as the Tea Party have been protesting against government implementation of ‘green projects.’ They argue man-made global warming is a hoax, and that investments in technologies and projects to combat climate change are a waste of tax-payer money. In a recent New York Times article, Leslie Kaufman and Kate Zernike explain that "green projects" are seen as part of a United Nations conspiracy that impedes upon the rights of American citizens. The specific ‘conspiracy’ they refer to is the United Nations Agenda 21, a proposal compiled by the United Nations in 1992 that called for a “...global partnership for sustainable development". Agenda 21 identifies sources of climatic problems, provides a basis for why they should be combatted, details actions that can be taken to alleviate the problem, estimates the cost of taking those actions, and predicts the benefits of those actions. The main goal of Agenda 21 is to recognize global environment and development concerns and address them locally in order to ensure “the fulfillment of basic needs, improved living standards for all, a better protected and managed ecosystems, and a safer, more prosperous future”. No where in the document, does it advocate for or suggest a centralized global government or socialism as a solution to these problems; only for a collaborative organized effort of developed and developing countries to combat global warming as a global problem in such a way that is appropriate for individual countries. Members of the Tea Party and The Republican National Committee resolution complain that, “The United Nations Agenda 21 plan of radical so-called ‘sustainable development’ views the American way of life of private property ownership, single family homes, private car ownership and individual travel choices, and privately owned farms; all as destructive to the environment”. This argument is not explicitly stated in Agenda 21, it can be inferred based on what are identifies as problems that Agenda 21 would classify many aspects of the American way of life as detrimental to the environment. What the opponents of the Agenda ignore, is the fact that although the USA is home to less than 5% of the world’s population, it is responsible for over a quarter of global carbon emissions. 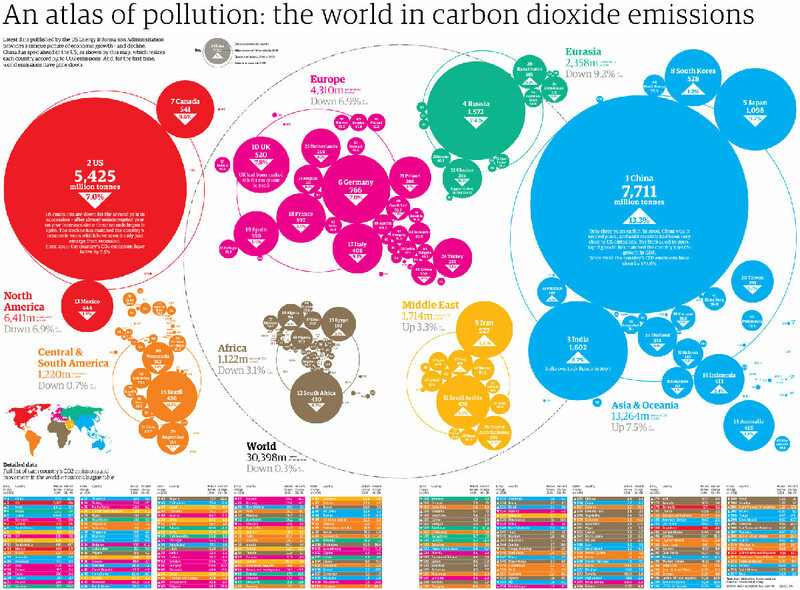 This graphic demonstrates the carbon emissions in each country. Click here for the original source and a closer look. Agenda 21 and government funding of improved, more efficient public transportation and alternative modes of transportation do not infringe upon American freedom or property rights as Tea Party members seem to believe (Kaufman and Zernike). Agenda 21 is non-binding, and is better viewed as a collection of suggestions for environmental action rather than a centralized government plot or a set of specific demands. A proposal for more bike lanes is not a demand revoking Americans’ rights to drive a car, it is simply trying to make it more feasible for people to use alternative modes of transportation. So far, there has been no legislation passed that limits the rights of Americans in order to combat global climate change. Advocacy for more efficient lifestyles does not mean a loss of choice. The standard American way of life is still entirely possible. However, in the name of environmental conservation and the preservation of the livability of the Earth for humans and all other forms of life, it is ideal that Americans, as major contributors to environmental degradation and global leaders, recognize that their standard way of living is indeed harmful and take actions to improve it. Agenda 21 does not single out the US as a nation requiring environmental reform, but rather stresses a collaborative effort of all countries to address this global problem that requires a global initiative. It should not be regarded as a conspiracy, but a viable solution. It has been 20 years since it was formatted and little progress has been made in the fields it identifies as concerns. In fact, the world has regressed, and climate change has only accelerated since 1992. The time to take action is now, the world can not afford to wait another 20 years before any real progress is made, quite frankly, by then it will be too late. The Economist magazine recently published an article about a company that has developed an interesting way to profit from providing electricity to poor, sunny regions around the world. The company is based out of London and called Eight19, which refers how long it takes sunlight to reach the earth - 8 minutes and 19 seconds. 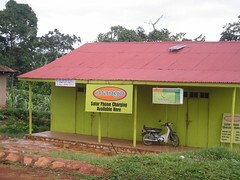 The Economist article focuses on Eight19’s “Pay as you go” solar program, where a family will be able to pay an upfront deposit of $10 US to purchase a solar cell and battery that have the ability to light two small rooms for 7 hours per day while charging one cell phone. The users then must purchase "scratch cards" using their cell phones to receive a reference number that will activate the devices. The "scratch cards" and reference numbers are sent via text message. Users can purchase any amount that they can pay for: a day, a week, or a month. These small purchases work toward paying off the cost of the device. After purchasing approximately eighty dollars’ worth of scratch cards, the customer will have paid off the entire cost of the battery and will have complete ownership of the unit. Customers can then use their $80 US investment on a down payment to move up the "Indigo Energy Escalator" to obtain a larger solar battery unit, or they can just keep their solar unit and not spend any money on electricity. This energy escalator has four different levels, ranging from 3 to 80 watt capacity. The 80 watt solar cell generates light for a phone, four rooms, a radio, a TV, and a sewing machine. This process was recently tested on a few hundred Kenyan families. Over the next two months Eight19 plans to release 4,000 solar kits in Kenya, Malawi, and Zambia. 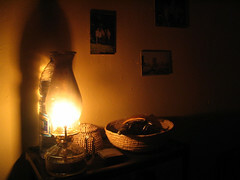 Many people in this region already have light and some electricity fueled by paraffin - a harmful waxy substance that comes from hydrocarbons used for lighting candles (pictured aboved). The most important aspect in this process is that these incremental payments are similar to what potential customers currently pay for paraffin to light lamps and the cost of charging a cell phone at a store. What if there existed a material that could help solve world hunger, fight climate change, and offer a solution for energy shortages to boot? Recent studies on biochar say that it may be just the product, and here’s the kicker: it has been around for at least 2,000 years. It is a solid material produced from the carbonization of organic waste. Extremely high in carbon content, its uses range from replenishing exhausted soil to sequestering excess CO2 out of the atmosphere. Recent discoveries into its uses, both locally and globally, have shown it to be a viable material for an environmentally sustainable future. Biochar is essentially charcoal, produced when biomass is heated in a low oxygen environment in a pyrolysis process. This process takes dry biomass and heats it at extreme temperatures and at a very low oxygen level. It is very similar to what happens naturally to soil that has been exposed to forest fires: the charred remains are more healthy and nutrient rich. Of the total amount of carbon that goes into the pyrolysis process, half goes into an energy carrying system that can be generated into biofuel. The other half of the carbon is fixed in biochar: a charcoal-like material that can be used as fertilizer to help increase crop yields, prevent run-off of nutrients and fertilizers, retain moisture in the soil and replenish exhausted soils with organic carbon. Nuclear Weapon States to meet June 29-30. Time to end the threat from nuclear weapons! The foreign ministers of the United States, Russia, the United Kingdom, France and China (the P5 Permanent members of the UN Security Council) are scheduled to meet in Paris from 29 to 30 June 2011 to discuss nuclear security. Together they possess more than 20,000 nuclear weapons, capable of destroying all life on Earth many times over. In May last year at a meeting of the States Parties to the Nuclear Non-Proliferation Treaty, they agreed that stopping the proliferation of nuclear weapons to additional countries would be impossible if they continued to hold onto nuclear weapons themselves forever. They thus committed to a number of initial steps to reduce their nuclear stockpiles, lower the role of nuclear weapons in their security doctrines and to work with non-nuclear weapon States to build the framework for a nuclear-weapons-free world. This will be their first meeting to start implementing these commitments. However, like smokers addicted to cigarettes, they will not give up their nuclear weapons easily. We must be assertive in helping them stick to their commitments. Join us in sending a loud and clear message to them—It’s time to stop threatening the world with these weapons of terror, and start negotiating a treaty to outlaw and eliminate all nuclear weapons globally. Sample letter—Please change this letter a bit so that all the letters they receive don’t look exactly alike. Personal letters have more influence. Add why you think it is important to abolish nuclear weapons. I encourage you to use this opportunity to commit to further reductions in numbers of nuclear weapons in your stockpiles, reinforce the practice and norm against any use of nuclear weapons, and announce a start to multilateral negotiations on a global treaty banning nuclear weapons worldwide under international verification and control. The abolition of nuclear weapons will provide security for your nation and for all nations. It is a duty you owe to present generations, and to future generations. It is a step that will enhance peace, cooperation, stability and prosperity. I urge you to do everything in your power to take this fundamental step to protect our nations, our environment and our future.